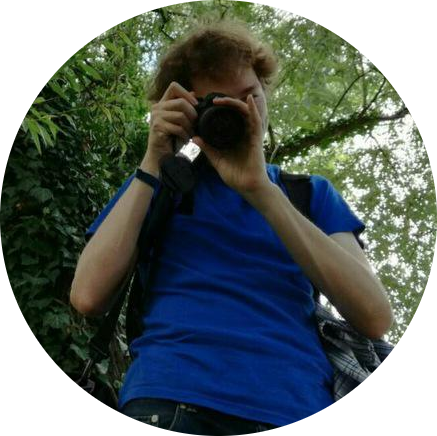 I'm a researcher with the Spoken Language Systems (LSV) group with Dietrich Klakow at the Saarland Informatics Campus and a PhD candidate at the Saarbrücken Graduate School of Computer Science. Our project proposal was successful and we have two open PhD positions in Information Extraction, Data Mining and Machine Learning. If you are interested, contact me for details! I'll present our work on multi-sense word embeddings with a talk at IWCS 2019. 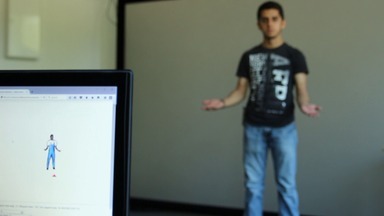 A former student will present our work on learning with noisy data from self-training at the NAACL SRW 2019. I became an associate member of SFB1102. I gave a guest lecture at the Ambient Intelligence group at Aalto University. The slides can be found here. At the ACL 2018 workshop DeepLo, I gave a talk about our work on learning with noisy labeled, automatically annotated data. Gerard de Melo at the Deep Data lab at Rutgers University. Gerhard Weikum and Andrew Yates at the Max Plack Institute for Computer Science. Jilles Vreeken at the Exploratory Data Analysis group at the Cluster of Excellence. the development and research people at Amazon in Berlin. Stefan Kramer, Jörg Wicker and Michael Geilke at the Information Systems group (now Data Mining group) at Mainz University. Popular word embedding methods such as word2vec and GloVe assign a single vector representation to each word, even if a word has multiple distinct meanings. 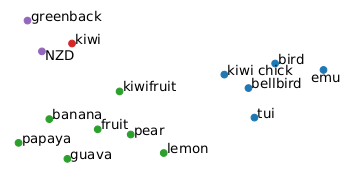 Multi-sense embeddings instead provide different vectors for each sense of a word. However, they typically cannot serve as a drop-in replacement for conventional single-sense embeddings, because the correct sense vector needs to be selected for each word. In this work, we study the effect of multi-sense embeddings on the task of reverse dictionaries. We propose a technique to easily integrate them into an existing neural network architecture using an attention mechanism. Our experiments demonstrate that large improvements can be obtained when employing multi-sense embeddings both in the input sequence as well as for the target representation. An analysis of the sense distributions and of the learned attention is provided as well. In this paper, we address the problem of effectively self-training neural networks in a low-resource setting. Self-training is frequently used to automatically increase the amount of training data. However, in a low-resource scenario, it is less effective due to unreliable annotations created using self-labeling of unlabeled data. 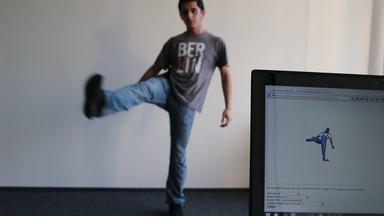 We propose to combine self-training with noise handling on the self-labeled data. Directly estimating noise on the combined clean training set and self-labeled data can lead to corruption of the clean data and hence, performs worse. Thus, we propose the Clean and Noisy Label Neural Network which trains on clean and noisy self-labeled data simultaneously by explicitly modelling clean and noisy labels separately. In our experiments on Chunking and NER, this approach performs more robustly than the baselines. Complementary to this explicit approach, noise can also be handled implicitly with the help of an auxiliary learning task. To such a complementary approach, our method is more beneficial than other baseline methods and together provides the best performance overall. Manually labeled corpora are expensive to create and often not available for low-resource languages or domains. Automatic labeling approaches are an alternative way to obtain labeled data in a quicker and cheaper way. However, these labels often contain more errors which can deteriorate a classifier's performance when trained on this data. We propose a noise layer that is added to a neural network architecture. This allows modeling the noise and train on a combination of clean and noisy data. We show that in a low-resource NER task we can improve performance by up to 35% by using additional, noisy data and handling the noise. While not being the original author, I'm the current mantainer of TF-NNLM-TK, a Tensorflow neural language model toolkit, at the Spoken Language Systems group. 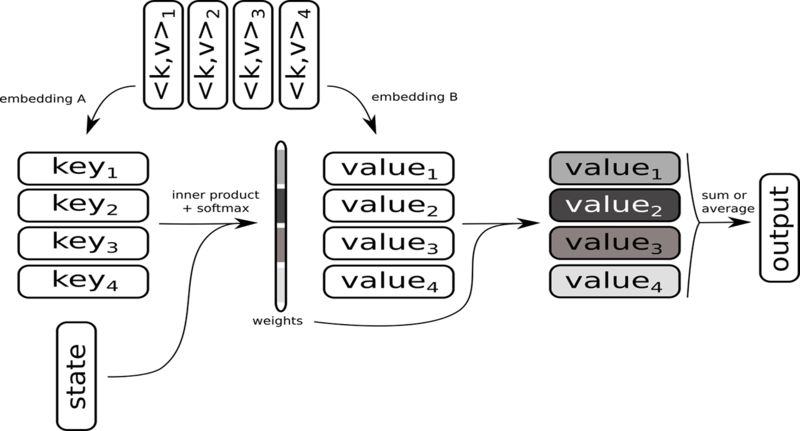 Being used both by business and research groups it functions as a stand-alone language model and as a language model component for more complex architectures. For more information, please visit the Github page. If you have any questions, you can submit an issue there or contact me directly. 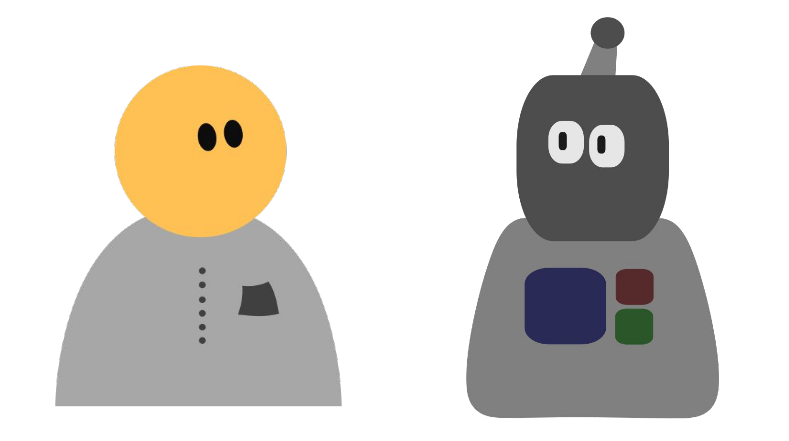 This guest lecture was given as part of the course “Machine Learning for Mobile and Pervasive Systems” at Stephan Sigg's Ambient Intelligence group at Aalto University. 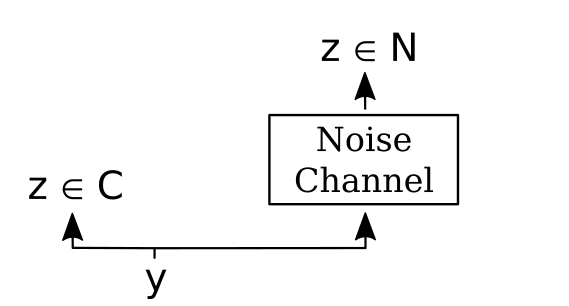 It discusses ways to obtain large amounts of data through crowd sourcing and automatic annotation techniques and how to deal with noise in this data using different noise modeling techniques like MACE or the noise layer approach. 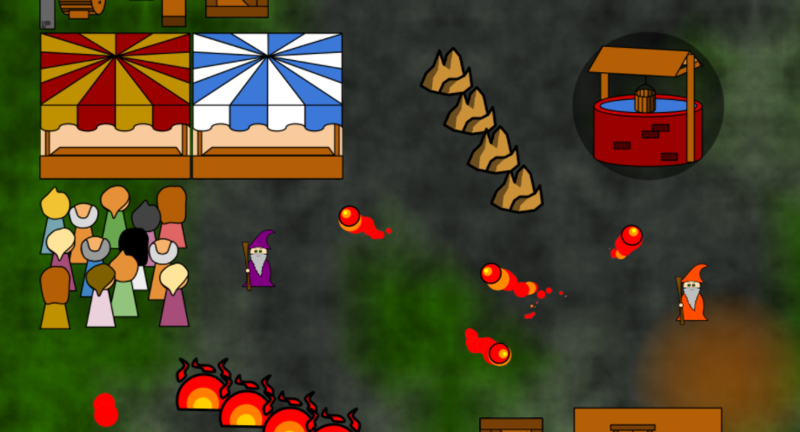 "Grab some friends, jump on the couch and get ready for this fast-paced and colorful arena game. In the world of these cats, there can only be one winner!" 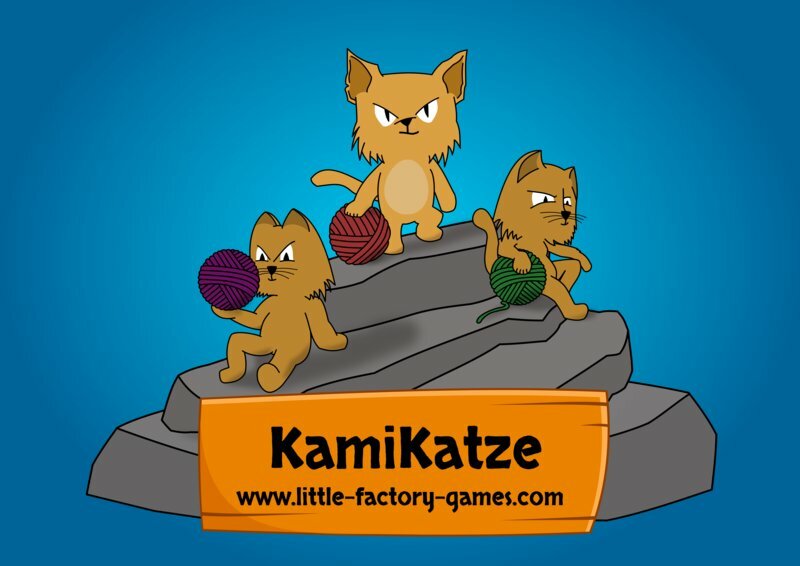 This is the third game we develped at Little Factory. 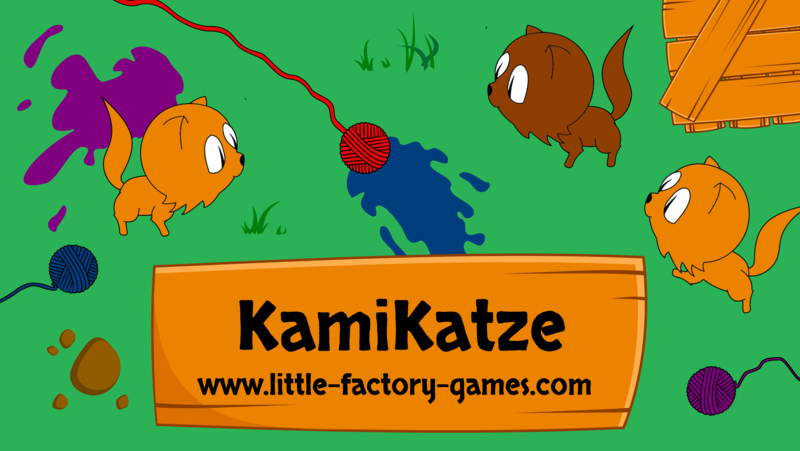 More infos at www.little-factory-games.com. This thesis examines two tasks in the context of creating sentence embeddings with neural networks. We first look at reverse dictionaries which retrieve a target word from a large vocabulary based on the word’s description or definition. In the second task, we detect paraphrases, i.e. sentences that have the same meaning. 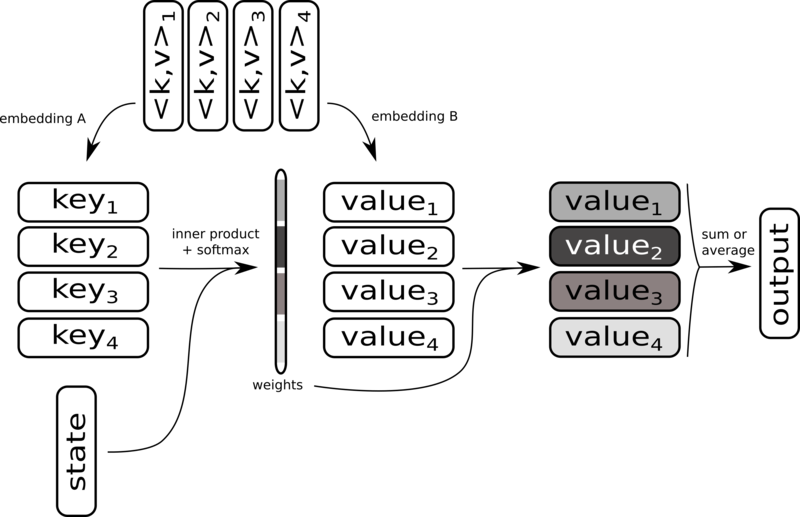 In both cases, our specific network architectures create vector representations of the sentences using established techniques like LSTMs. We enhance these representations by adding a memory network component that allows integrating information from an external knowledge source. This information can be directly selected by the neural network. In our case, we incorporate additional linguistic knowledge from WordNet (like synonyms or hypernyms) about the words the network processes. Extensive experiments are performed and evaluated for both tasks. As part of the thesis, we give an introduction to basic and more advanced techniques from the areas of word representations and neural networks as well as a review of the related literature. We also reproduce existing work on reverse dictionaries and we create large paraphrase corpora based on existing video description data. Our analysis of word-sense ambiguity in the datasets can be used as a basis for future work. If you are interested in the PDF of the thesis, please contact me. 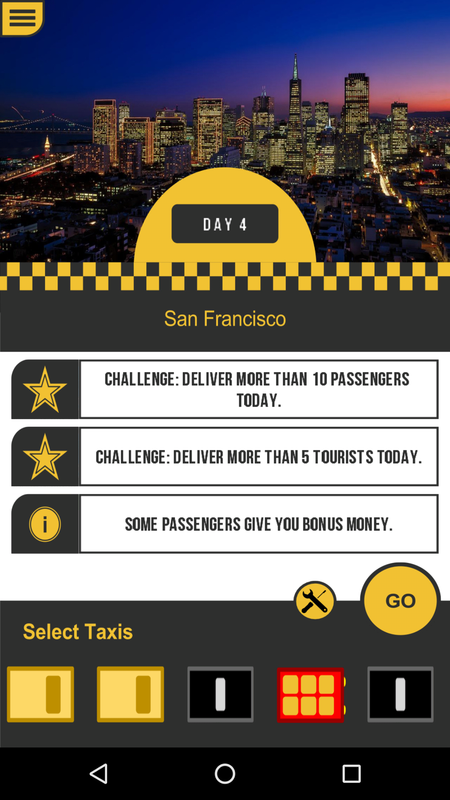 "Welcome to your new taxi business. 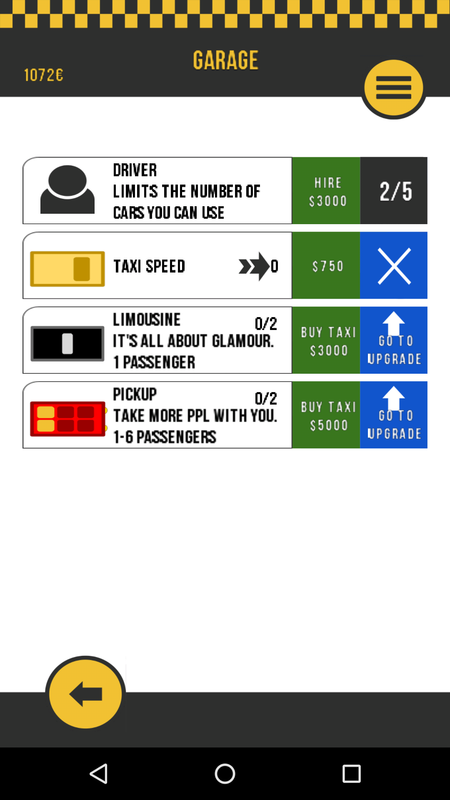 Your job is to control the taxis in your city. To be successful you have to keep your passengers requests in mind. Businessmen are always in a hurry, be quick enough to catch them. Tourists like to see the city’s highlights and everyone likes a ride in a fancy car. But be aware to not get stuck in the rush hour. Invest your money wisely: Hire new drivers, buy new cars and upgrade your fleet. If you are good enough, you might even be able to buy a limousine to transport your clients in style. 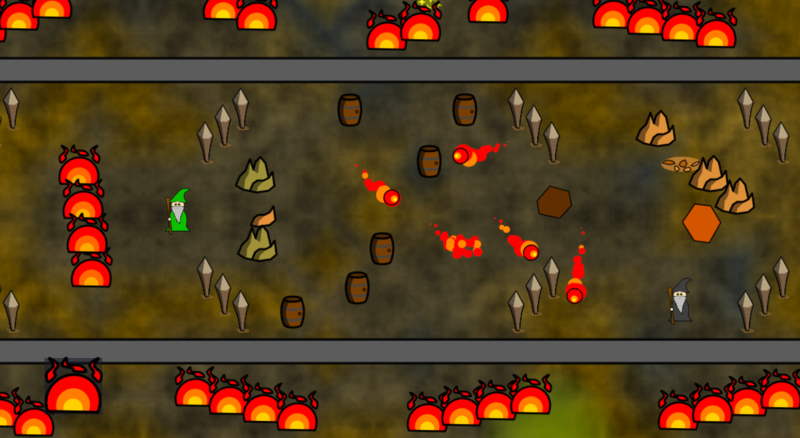 Gain some extra money by completing challenges and try to beat the highscores." 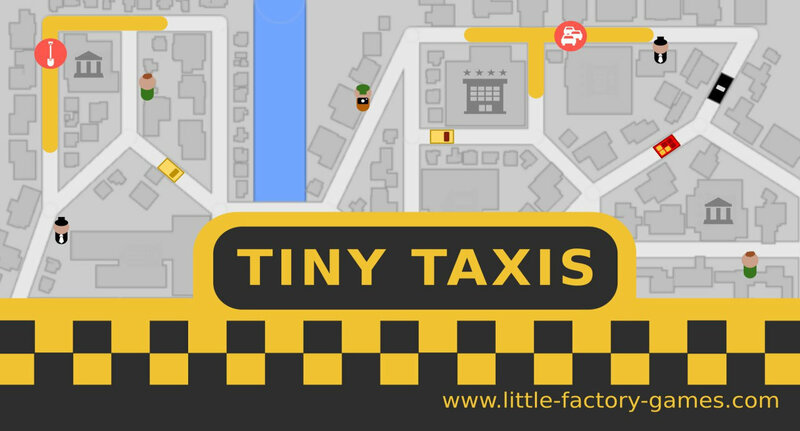 You can download it for free at www.little-factory-games.com/TinyTaxis. 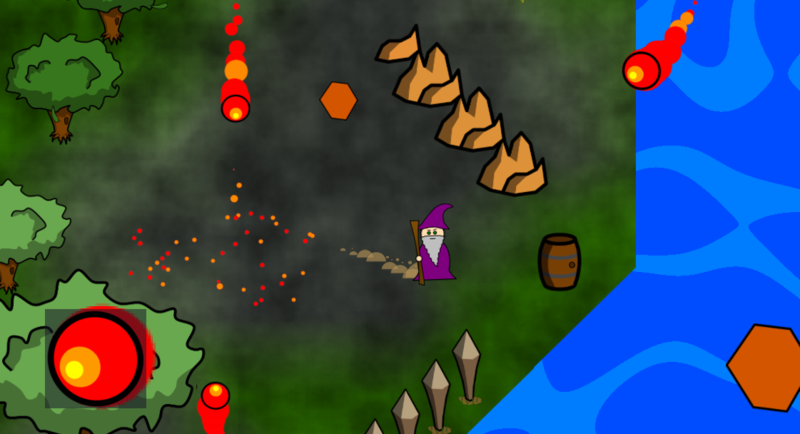 Mages is a 2D multiplayer arena game in a fantasy setting that offers a combination of fast gameplay and tactical resource managment. It was developed and published by Little Factory. 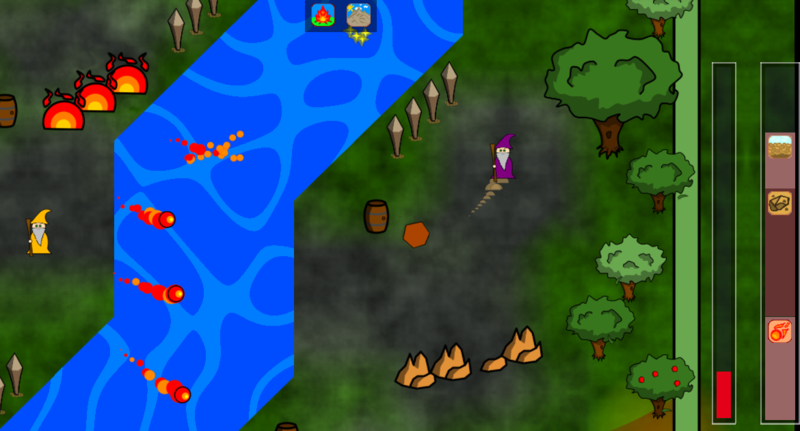 You can download the prototype at www.little-factory-games.com/Mages. You can watch a video demonstration of an old prototype and of the current version on YouTube. This project can and has been used as basis for combining other tracking hardware with XML3D. 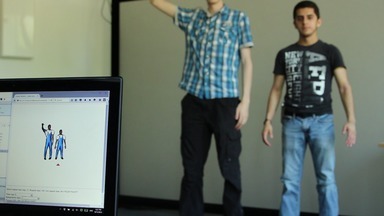 Our work on the Kinect and retargeting part can also be used for other forms of tracking and visualization. You can find the documented code on GitHub. We have created a presentation that explains the structure of the system, technical details of our implementation, open problems, etc. If you still have questions or remarks, do not hesitate to contact us. All images and figures I created for the presentation are licensed under Creative Commons. Virtual reality offers fascinating possibilities to experience computer generated worlds. 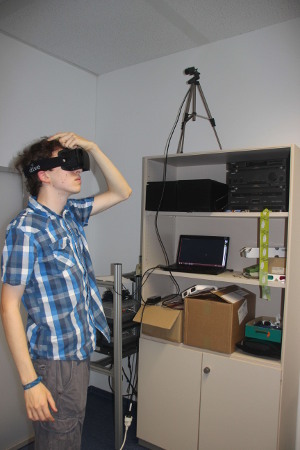 We present a virtual reality system that enables the user to naturally walk through the virtual environment. He or she can crouch, jump, turn around, look upwards and downwards, etc. 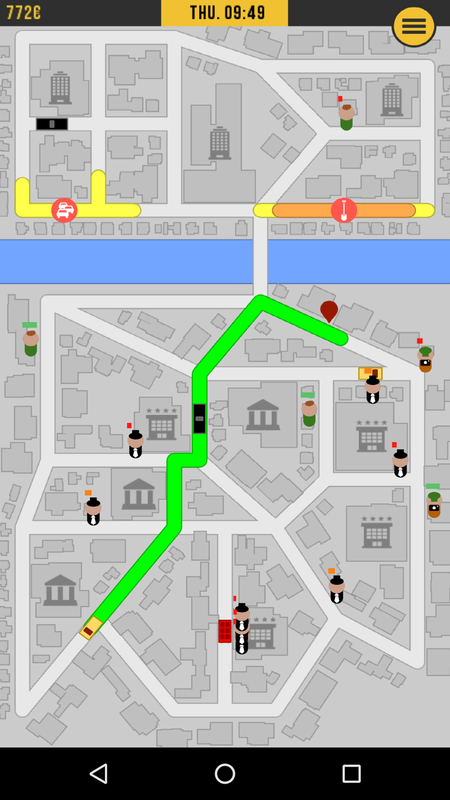 The user wears an active marker which is tracked by a camera and a special tracking software. The information about its position and rotation is sent to a head-mounted device which has a smartphone as a display. 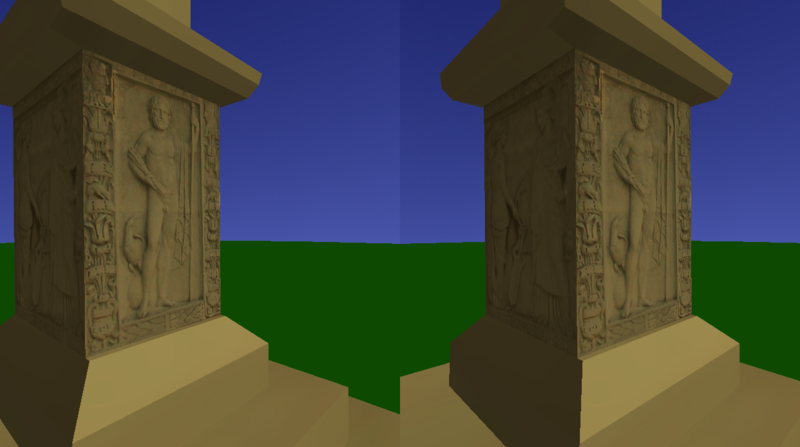 The smartphone renders a stereoscopic scene from the user’s perspective. We developed a first prototype that demonstrates the feasibility of our concept. 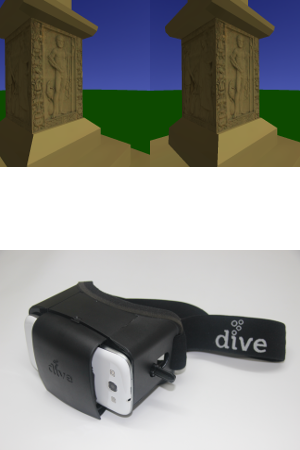 Our implementation aims at museums or exhibitions that want to bring virtual worlds to life. Nevertheless, this technique can be extended to a variety of applications from scientific visualization to augmented reality. In this thesis we explain all the parts in detail. As background a short description of the theory of stereoscopic projection is given. We conclude with an extensive evaluation explaining the problems that still exist and showing promising improvements for future work. For the high quality version, please contact me.